Bread & Puppet presents: The Grasshopper Rebellion Circus! 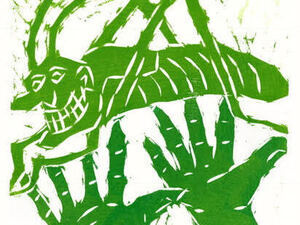 The incredible Bread and Puppet returns to Oberlin as the Grasshopper Rebellion Circus. The Grasshopper Rebellion Circus is a celebratory giant puppet spectacle that explains and teaches rebellion against intolerable situations with the help of state-of-the-art paper-maché weaponry and the appropriate riotous Bread and Puppet Brass Band. Rain space is the Cat in the Cream Coffeehouse! It’s happening in Tappan Square! !